Image copyright © Alison Rab All Rights Reserved. Unauthorized copying or use is strictly prohibited. My in laws lone cow out in the snow covered pasture... he will one day be on the dinner table! 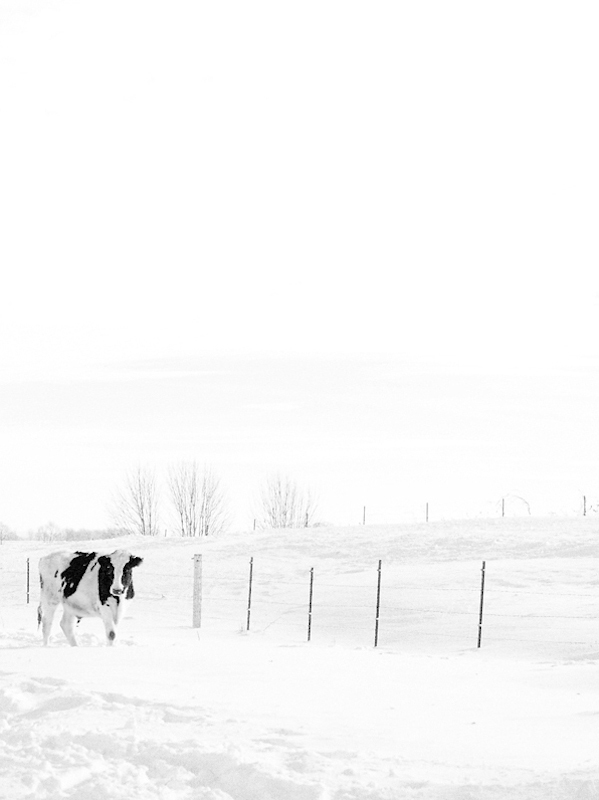 So simple yet so effective with the starkness of the snow and the lone cow...congratulations on your POTD! First, it is a dairy breed, not beef. Second, if it is a cow, it is not a "he"! Alison, You are truly gifted with a great eye for composition and photography in general. I'm pleased that, in the future, I'll be able to say, "I knew `akrab` before she became famous." Thank you Lois, Sylvia, Linn & Bill :) Ann, whatever *it* is it will be dinner... that is all my in laws have it for :) *it's* name is freezer meat 2... freezer meat is already in the freezer. Congratulations on a clever POTD, Alison. Yup, this looks like the Wisconsin I so well know at this time of year. Cute title too!!! Page generated in 00.0883 seconds.